Budding alien-hunters can journey into the bizarre world of the unexplained with this book filled with fun pullouts, pop-ups, and other space-oriented stuff, accompanied by superb illustrations and lively, authoritative text from an award-winning author. They’ll even get the chance to qualify as a member of the imaginary Extra-Terrestrial Investigation Agency! 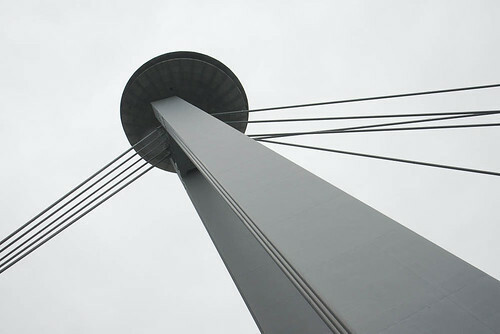 The UFO bridge in Bratislava.